IT organizations are continuing to face unprecedented years of economic pressure to lower costs while meeting and/or improving business service levels. For many organizations, the impact is beginning to reach their core business applications, which previously were not completely immune to financial pressures but were thought to be too risky for major platform changes. 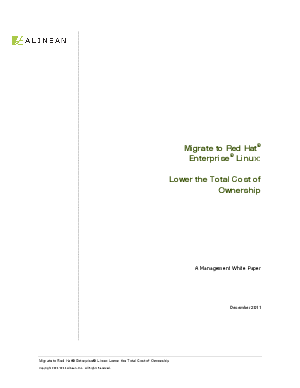 Organizations are now achieving significant costs savings by migrating core enterprise business applications to open systems running Red Hat Enterprise Linux (RHEL).